The famous words uttered by Supermarine and Vickers test pilot Joseph “Mutt” Summers following the first ever flight of the new Supermarine Type 300 at Eastleigh, better known as the Spitfire. These words of praise clearly meant that Summers had very little to complain about following his introduction to K5054 on the 5th March 1936, meaning that R.J Mitchell and his design team had clearly done an excellent job. The first flight, like many consisted of a short series of manoeuvres with undercarriage left down, before coming back into land. Jeffrey Quill, then Summers’ assistant commented how the machine lept off the ground in very short order thanks to the fine pitch propellor fitted for the first flight. Quill of course would go on to have plenty of experience with the new fighter during his career. So the first flight had gone down as a success, but there was of course much more work left to do, but first it is worth taking a look back at the work left behind them. Reginald Mitchell had made a name for himself with the impressive work on the “S” series racers in the 1920s, but soon his attentions were caught by something else. The air ministry issued specification F.7/30 in 1930 which in essence was asking aircraft companies to design a suitable replacement for the outdated bi-plane fighters of the day. Requirements for the design were far removed from what Mitchell had been working on, a low landing speed, short landing run and a maximum speed of “only” 250mph. Considering that Mitchell would achieve 400mph in the following year, this would surely be easy to meet, though as it turned out, constrictions in the specification made life a little more difficult. Mitchell was introduced to the design by the then chairman of Vickers Aviation Ltd, Sir Robert McLean, who had taken over Supermarine in 1928. Mitchell had the idea for a new fighter floating around his head and this was the perfect time to explore it. In February 1934, Mitchell’s first attempt at meeting the requirements was rolled out, known as Type 224. The design that appeared drew some qualites from the S.6. 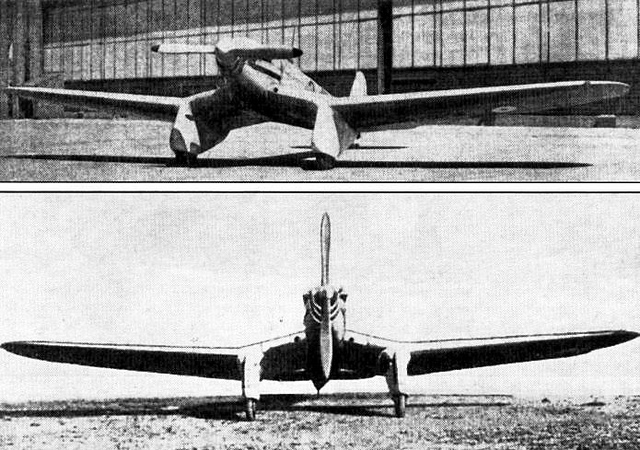 A narrow, streamlined fuselage, an open cockpit and a 600hp Rolls Royce Goshawk engine. Though the gull wings and fixed undercarriage counteracted the racing pedigree. Interestingly, and perhaps jumping the gun, McLean dubbed this new design the Spitfire, though Mitchell wasn’t particularly happy with the end result. In fact the design fell short of the required speed, only achieving 230mph flat out. Mitchell had returned to the drawing board before it had even started testing. A number of entries were fielded to meet the 1930 requirement and testing was carried out at Marston Heath. Ultimately none of the designs were chosen however and the Gloster Gladiator won the contract. After this set back McLean made the decision that such an impressive team of engineers and designers should be designing a “real killer fighter” and not the experintal aircraft to meet a government requirement. He approached Rolls-Royce who he convinced to join him in financially backing the next project, the type 300. Though started as a privately funded venture, the air ministry soon got involved with the project. On the 1st of December 1934 a contract was issued 10,000 pounds towards the design. Once 1935 came around work could begin in earnest on the 300, broadly using the 224 as a basis. Following discussions in regards to aerodynamics it was decided to change the wing shape, resulting in the iconic elliptical shape we have all come to know and love. The wing was designed from the off to be practical for a front line, high perfomance fighter, with room for a retractable undercarriage as well as machine guns. 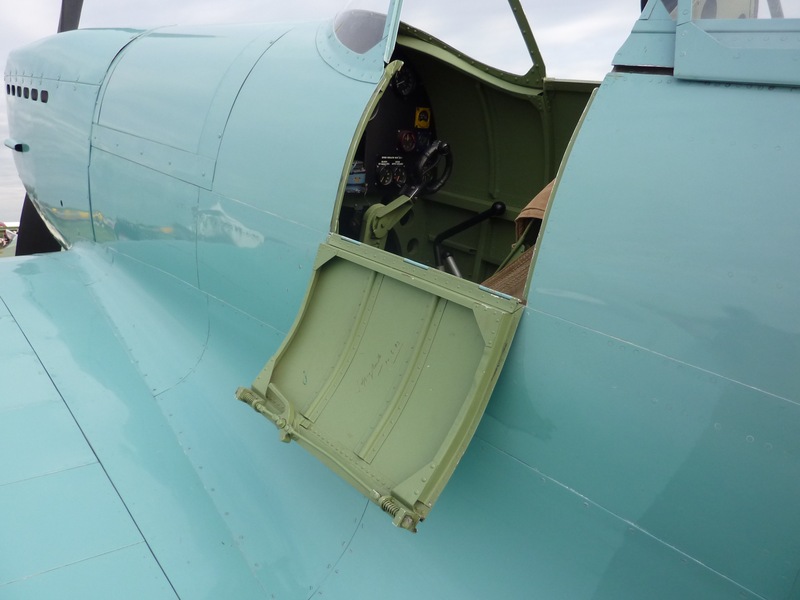 The wing also featured a slight twist, which, as it turns out, was a blessing for pilots as it provided advanced warning of an impending stall. A look in the “office” of the prototype replica. Of course Mitchell had made strong ties with Rolls-Royce, having made use of their impressive “R” racing engines for his 1920s and 30s racing aircraft. This link combined with their investment in the project led to a new V12 engine being incorparated into the 300, the PV (Private Venture) 12 engine. This design would of course become the famous Merlin. This new power-plant was a development of the Kestrel, which powered the Hawker Bi-planes of the 20s and 30s. The “R” engine would see development a few years later though, in the form of the Griffon. K5054. That was the serial number painted on the side of the fuselage of this sleek new design. Put together over the summer and autumn of 1935, R.J Mitchell’s ruthless fighter had finally come to fruition and was ready for test flying at the beginning of 1936. Robert Mclean again decided, once again, that the aircraft should be called the Spitfire. 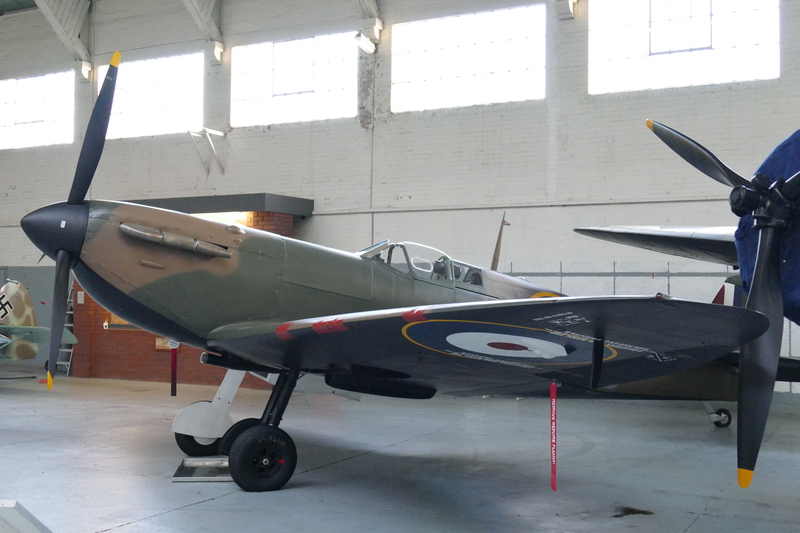 As outlined at the start of this post, the new aircraft flew on the 5th March, though the prototype of the Spitfire is often remembered as that wonderful sky blue colour, on that very first flight it had a very different finish. As is common with early test flying large portions of the aircraft remained unpainted or in primer, giving a very patchwork finish for those early flights. This finish was replaced in April, when the Cerulean Blue finish was applied. 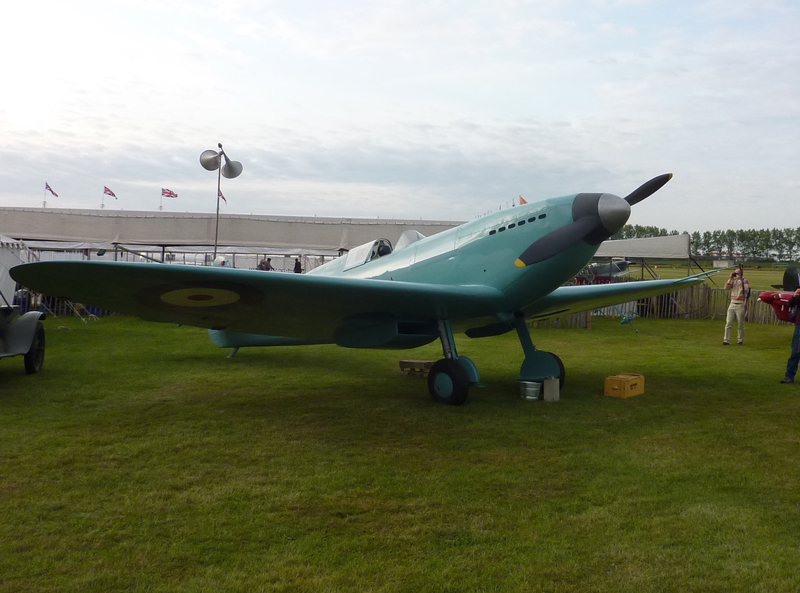 The Tangmere Museum’s Spitfire Prototype replica seen here at Goodwood in 2011. Though Mutt Summers carried out the first few flights of the Spitfire, he was needed at Weybridge to help with the development of the Wellington bomber. Duties were soon handed over to Jeffrey Quill and Geroge Pickering. 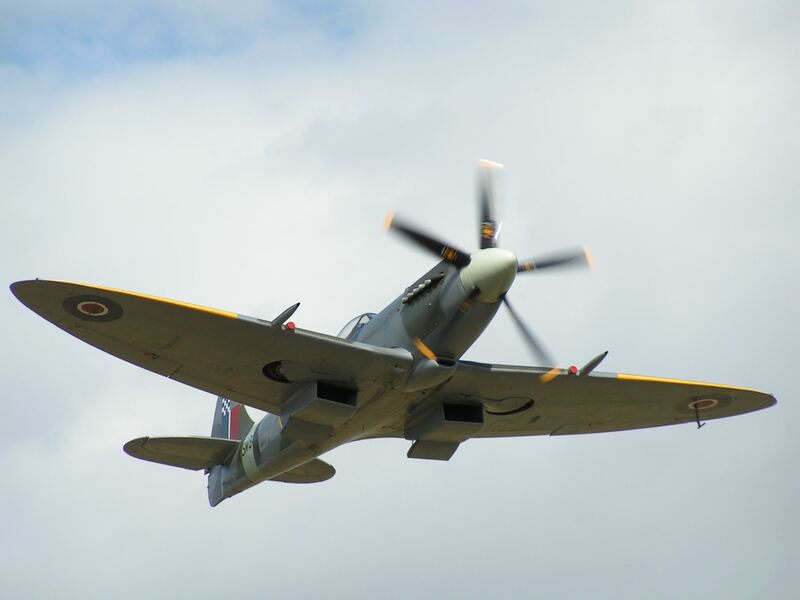 Following further test flying it was decide that the Spitfire was performing as expected and as such it was sent Martlesham Heath for RAF testing on the 26th May. These tests went well and on the 3rd June the first orders for 300 the new type were placed, less than three months after the first flight. These initial reports showed that the Spitfire could achieve a top speed of 249mph at 16,000 feet. 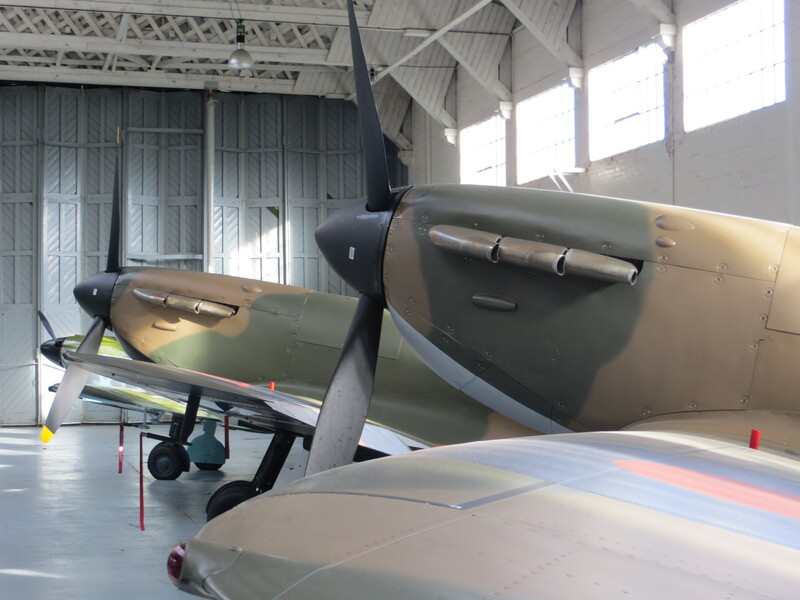 RAF Hendon has the claim to fame of being the first of countless airshows to have a Spitfire participate. K5054 made a single fast pass at the air show on the 27th June 1936, giving the public a very brief glimpse of the new fighters performance. 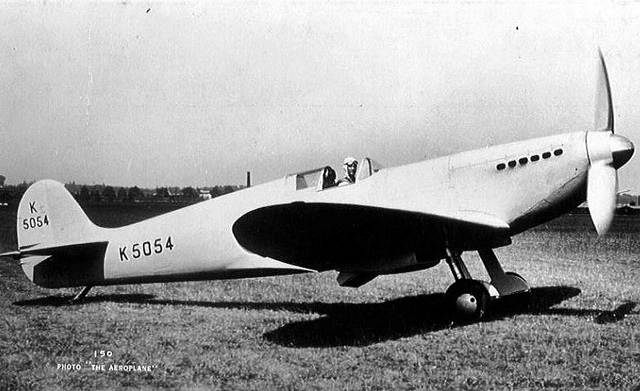 K5054 flew on for a few more years, still wearing the distinctive blue colour scheme until the 4th September 1939 when the aircraft tipped up on its nose during a landing, destroying the cockpit and killing the pilot. Of course, one sad truth that I haven’t touched on yet is that throughout the design process of the Spitfire, Mitchell was very ill. In 1933 it was discovered that he had cancer and underwent an operation to have it removed. The operation was a relative success but the Doctors made no guarantee that it would not return. Sadly it did indeed return in 1936, not long after the Spitfire first flew, though he was often seen at the edge of Eastleigh airfield in his yellow Rolls-Royce, watching the test flights take place. Mitchell sadly passed on the 11th June 1937 and with him Britain lost a great man and a great designer, it is quite possible that the early days of World War 2 may have played out differently had it not been for his efforts. 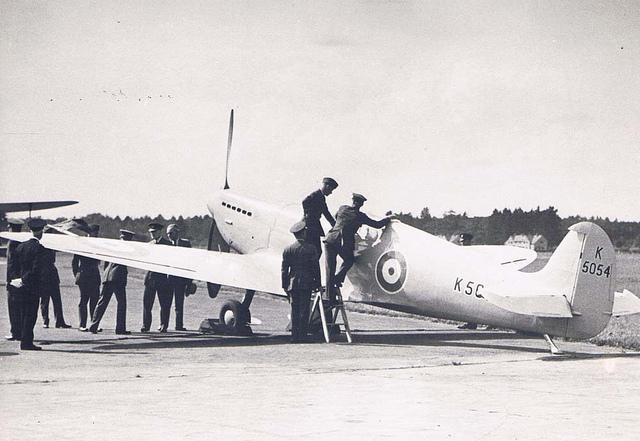 An early example of the production Spitfire. The first of those 300 production Spitfires, K9787 flew from Eastleigh on the 15th May 1938 and was delivered to 19 Squadron at Duxford on the 5th August, the Spitfire had made it to front line service and soon Mitchell’s legacy would go to war. Less than 10 years on from the first flight and the Spitfire saw a huge transformation, as is evident in this photograph here of a MkXVIII. The Spitfire was left in the hands of Joseph Smith who carried on the design process and developed it into the many variants and versions that appeared throughout the war. Whether it was what Mitchell would have done can never be said, but they all remain, at the core, Spitfires, “silly name” or not.